Curtains to 2014. A new page in the calendar – 2015. As we lay down the ceremony of waking up a new year in our life, we rake up resolutions, hopes and optimism. A new human year is about to be launched along with new hopes and aspirations. I wish you great elevation in awareness in the days ahead. We die every night and are born every day. Every day, especially every birthday is another milestone in our life. New Year is another day in the flow of time. 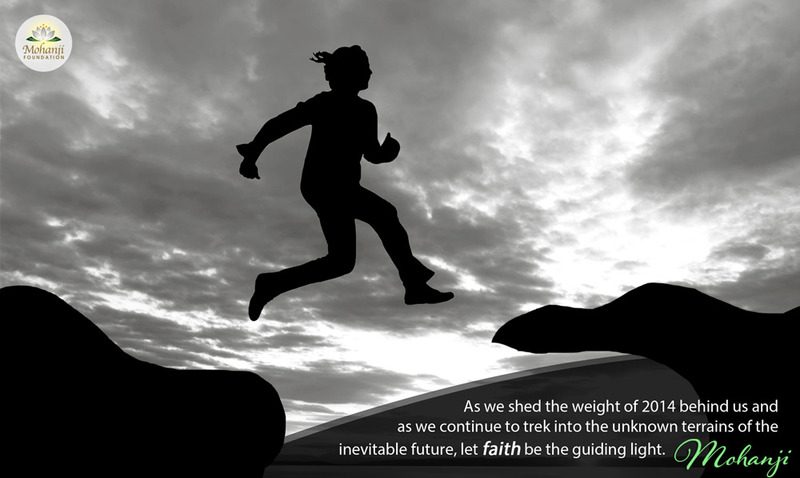 As we shed the weight of 2014 behind us and as we continue to trek into the unknown terrains of the inevitable future, let FAITH be the guiding light. As we wear the garlands of resolutions that we aspire to change in ourselves; change that we consider as the blinding blocks within our character and detrimental for terrestrial excellence, DETERMINATION is the pillar. As we wear the new garbs of life, and as we turn another page in life, we look for new terrestrial glory. As we spread on time our expectations about ourselves and our future, may COMPASSION be the key ingredient. May your terrestrial success be measured by your acts of COMPASSION and KINDNESS. Do not be too harsh on yourself. Be Unconditionally Kind and Let it show. Do not judge or condemn another because we do not know their karma just like we do not know ours. Be the sun to life. Rise in the brilliance of the sun every morning and live as unconditionally as the sun every day and spread the warmth or moonlight every night. Unconditional love is a state. Be in the state of Unconditional Love. Be that. Do not DO that. life a bit better each day. They will be better off if we just leave them alone. Reduce dependency and enjoy freedom. Dependency leads to expectations and eventual disappointments. Avoid expectations and experience satisfaction every moment. Do not judge, criticize and condemn others and thus contaminate yourself. When we condemn others, we are condemning ourselves. wish You and Your family happy and blessed new year! Thank You for this beautiful and encouraging words. It’s easy to walk through life with You on our side. May You always remain blessed for all You do for us. Thank You Mohanji! Pearls to carry us into 2015. Jai Jai! Reading the new year message rather late but its like a reminder. Thank you for it.would love to meet you and get your blessings.